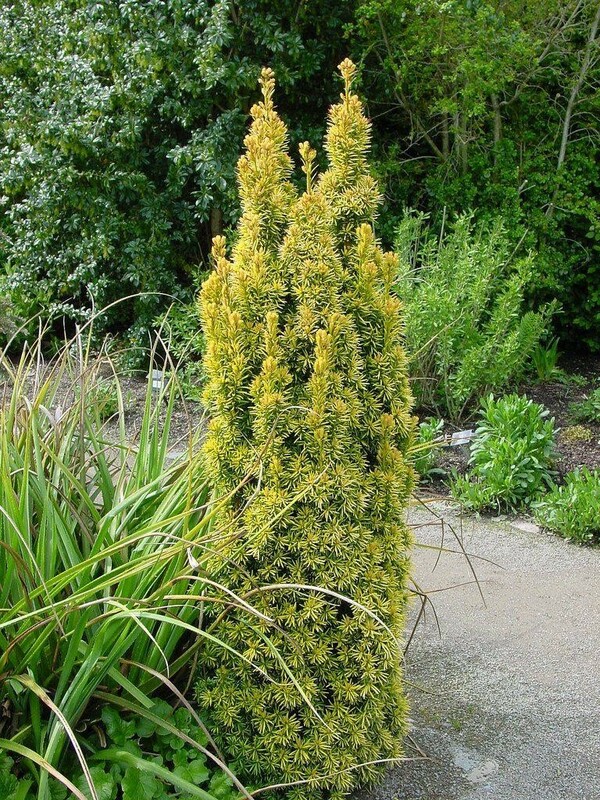 Irish yew forms a distinctive upright growing shrub/tree that's perfect for adding height to the border. They originate from a sport from an ordinary yew in Fermanagh, 1780. 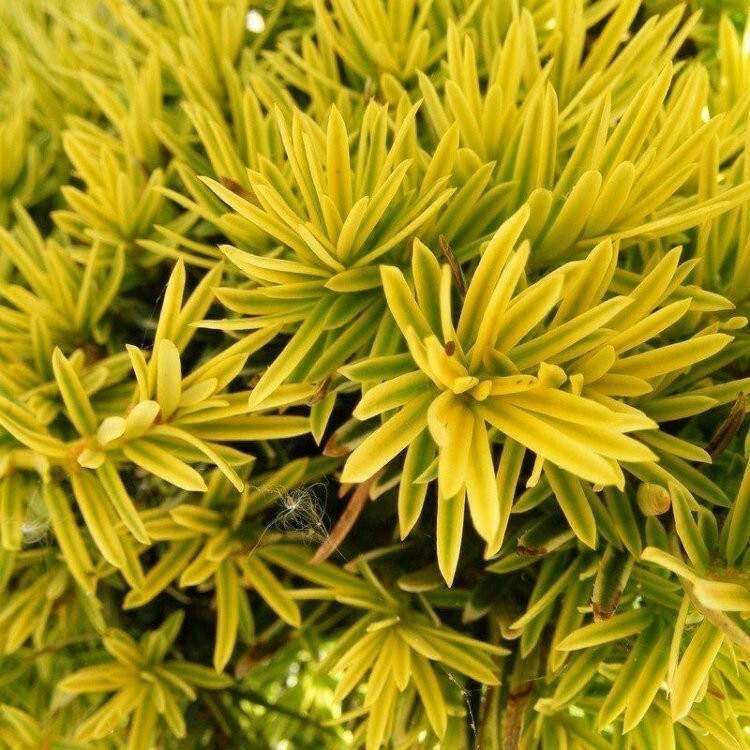 The form 'Fastigiata Aurea' has bright golden edges to its foliage which gives the whole plant a distinctive golden appearance. 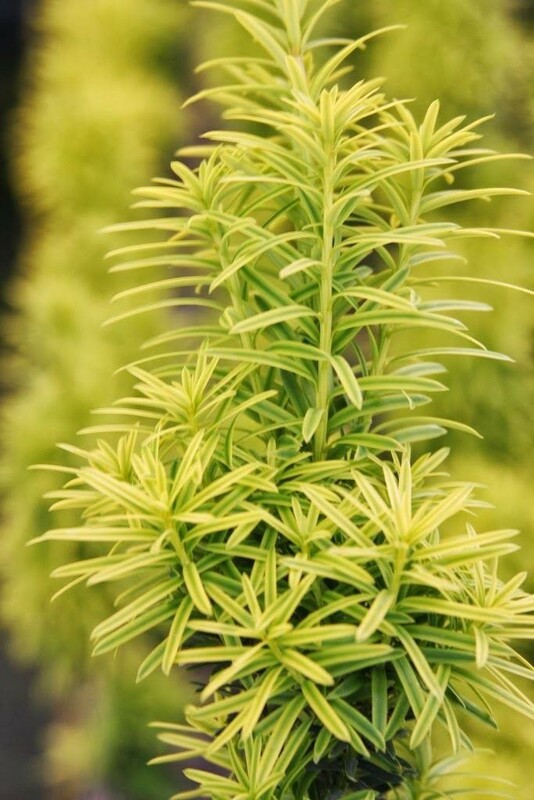 It's tolerant of most soils provided there is adequate drainage and they don't become water-logged. 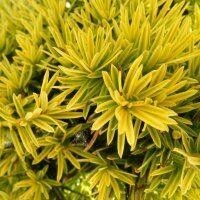 Like all yews they can be clipped into shapes but also look particularly good when allowed to grow naturally.